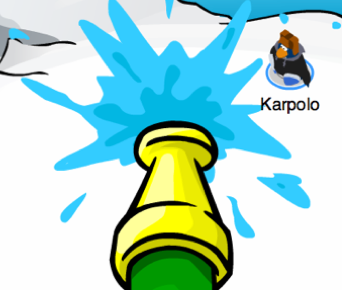 In memorization of Club Penguin’s flood last year Club Penguin has brought us another water party! 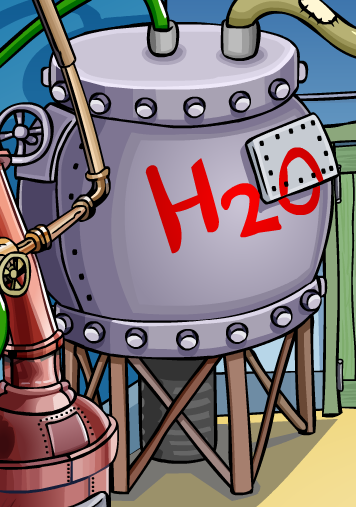 Where do we get the water from you might ask? Well I followed the water pipes and it lead to one of G’s latest inventions, a tank full of H2O (water)!!! This tank of water provides many fun uses to slash in, such as one of my favorites, the water hose at the bottom right of the screen! 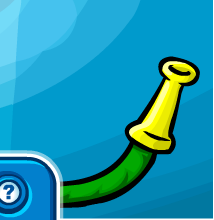 They brought back the water balloons. Then it should take you to here! 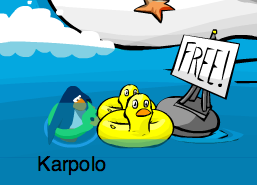 At the Cove there’s yellow inflatable ducks. And there’s the blue apron at the Plaza. And a shell necklace at the beach. 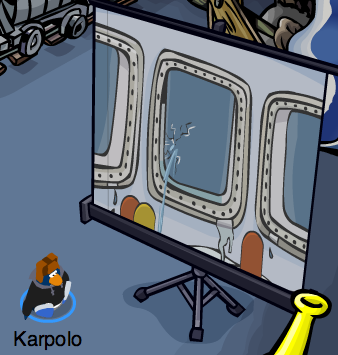 My favorite part was the movie in the Mine. Moving on to other news, the new play is out! This is what the play’s about. Here’s a picture of the play. 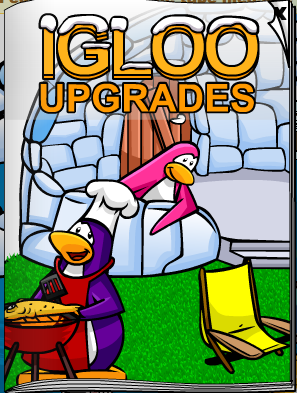 Click here for the catalog without logging in! 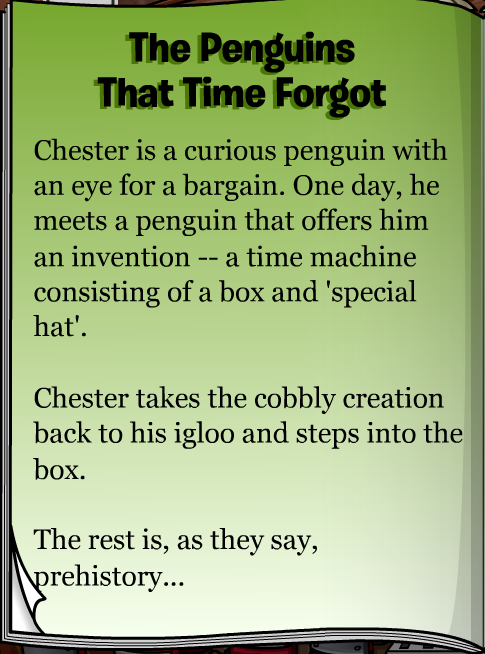 Speaking of the catalog, the time travel hat was surprisingly cheap! 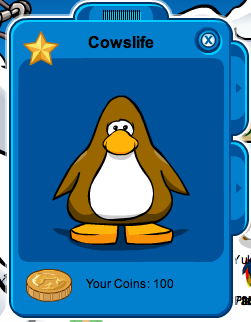 It is the cheapest clothing item ever sold on Club Penguin. And did you know the most expensive clothing is the dragon costume? PS: I might not post often until summer holidays, I have PATs (Provincial Achievement Tests) to study for. And I know some people already started summer holidays but different places have different school boards so just understand that I still have school. Happy Pirate Day! 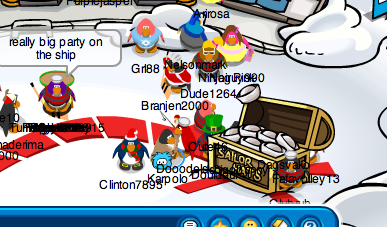 Yesterday the pirate party begun and they’re giving away free sailor hats at the plaza. 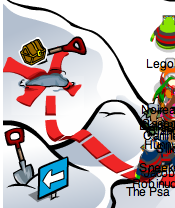 And the pin is at ski village, you have to dig it up with a shovel. 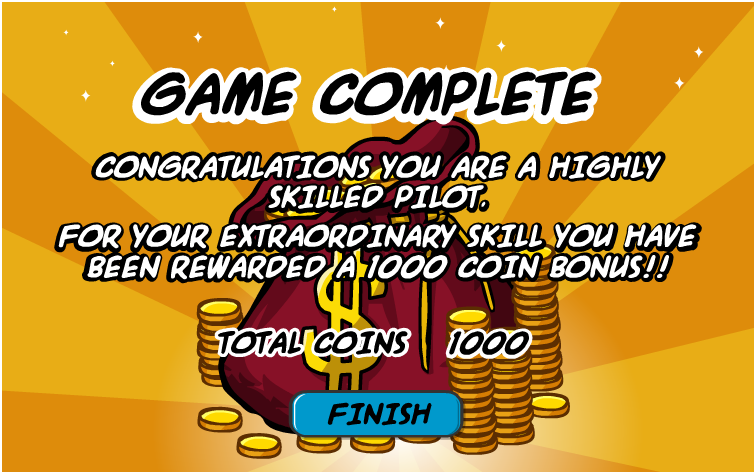 In other news I beat Jet Pack Adventure without collecting any coins! Which reminds me, I have to make the game tips page. 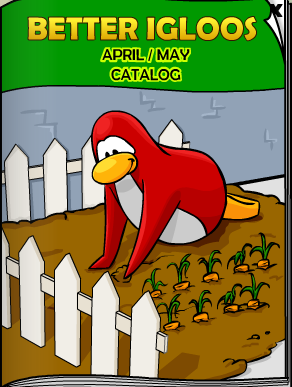 First off, the new catalogs, I’d give the secrets but I don’t feel like it. 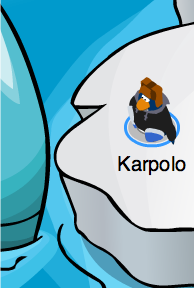 And now, my new penguin! 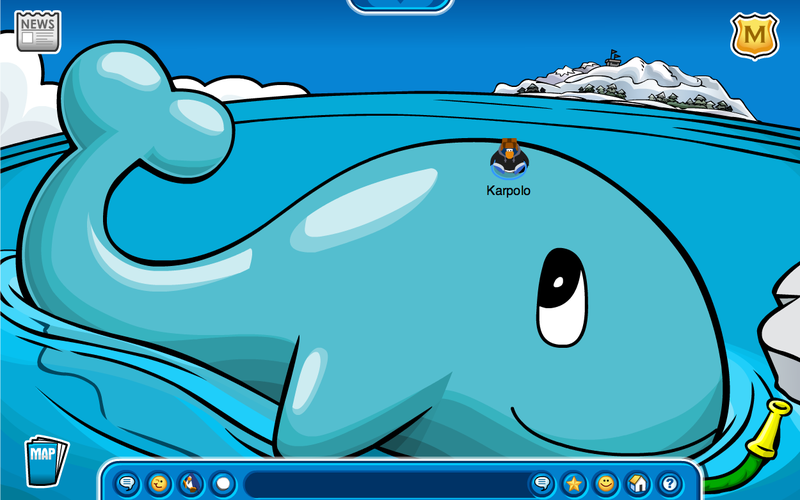 His name is Cowslife, he’s a nonmember, and should Karpolo get banned, (god forbid), I will use him. He’s brown and well here he is. Oh and I read the newspaper, and it said the clock is broken because too many people were throwing snowballs at it, looks like I was wrong.